I usually sing this song at least once a day, but so far this week, I’ve been singing it more than five times daily. “Jesus Loves Me” is one of those tunes that too often we as adults sing without reflection. It’s a “muscle memory” song. We’ve sung it so many times, we just flip into auto-pilot mode. 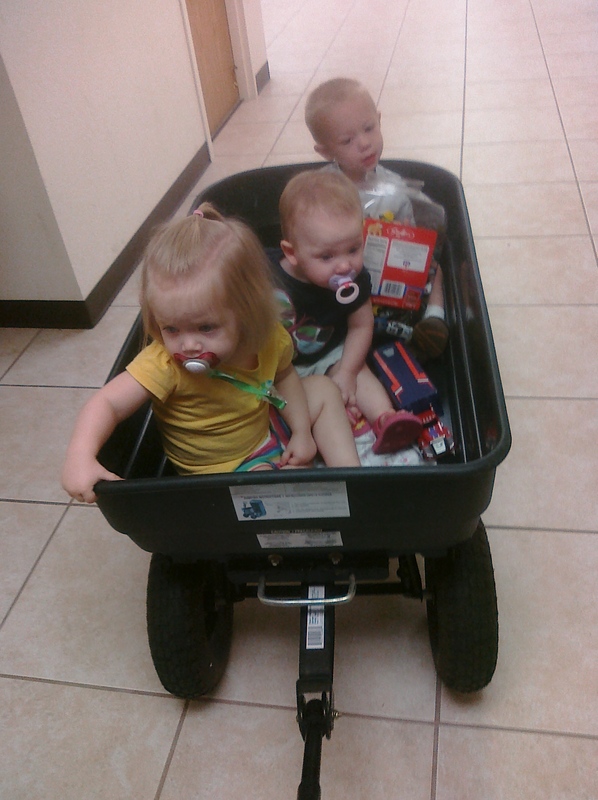 Here's the one-year-old posse, Lauren, Addie and Oliver, in one of the two wagons we use to transport the little ones on VBS adventures. During my church’s Vacation Bible School this week, I am taking care of and teaching the babies through three-year-olds. 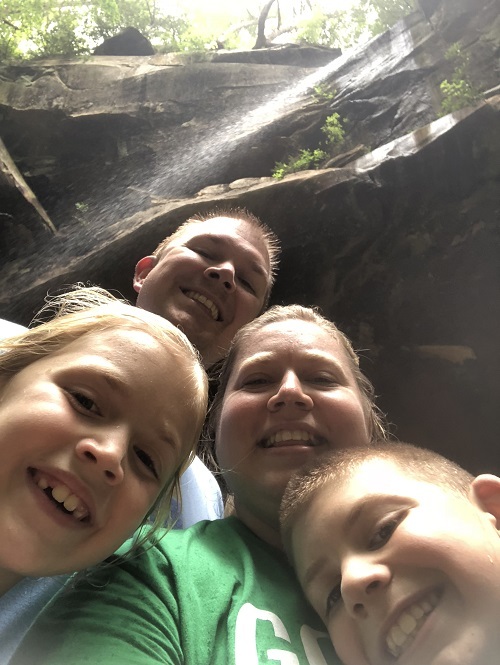 I am determined to not just “provide child care” for these young ones, rather that we will have a fun-filled week learning about how much Jesus loves each of them and wants to be their best friend. So, we have had all sorts of adventures, riding through the halls of the church in our trusty wagons, praising Jesus! Every time we start talking about Jesus, every little face lights up. When they sing about God’s love, they beam with excitement! When they see pictures of Jesus, they squeal, and then want to point out Jesus to the rest of their friends. I want these children to let Jesus sink down deep into their hearts, and never remember a time they didn’t know that Jesus loved them. I pray the love of God is a fact, a reality, in each of their lives, even before they are of the age they will accept him as their Savior. We have sung “Jesus Loves Me,” many, many times this week! And, each child can’t wait to sing it. It is the first and most requested song of the group, and when we start to sing, every child contributes to the praise, whether in singing the words, dancing with joy or just shouting “Jesus!” over and over again. Their enthusiasm is infectious, and convicting. I need to reclaim that kind of excitement, that thrill of just knowing Jesus loves me. He really loves me! I belong to Him. He chose me to be His. He knows my weaknesses and loves me anyway. He is my strength and my song! He is my protector and my provider, my shield and my portion. God’s Word tells me this is true, and God does not lie! He loves me. He loves me! Jesus, precious Jesus, thank you for revealing your love to me, and imprinting your love on the hearts of five little ones in my VBS class this week!